I have a few Christmas cards left to share so I figured I should get them in before it gets here! This one is super simple. I stamped and white heat embossed the trees on different colors of cardstock, cut them out and added them to the card. The sentiment was white heat embossed as well. I finished it off with some twine and a button. Don't you love how round a corner or two can really finish off a card? 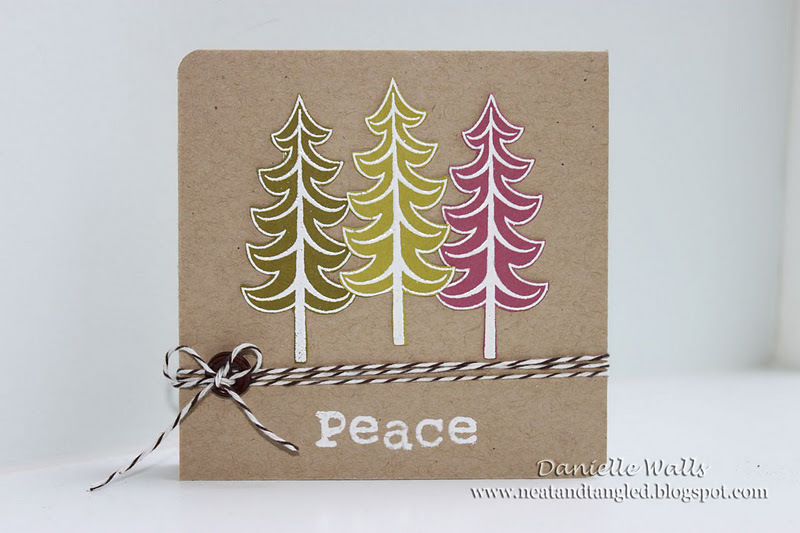 aww I love these trees by Hero Arts... Great card..